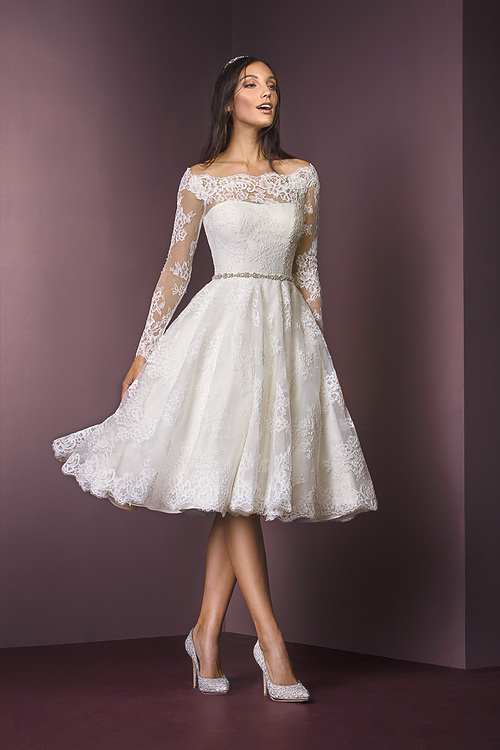 This short dress is designed for the modern bride who loves all things vintage. 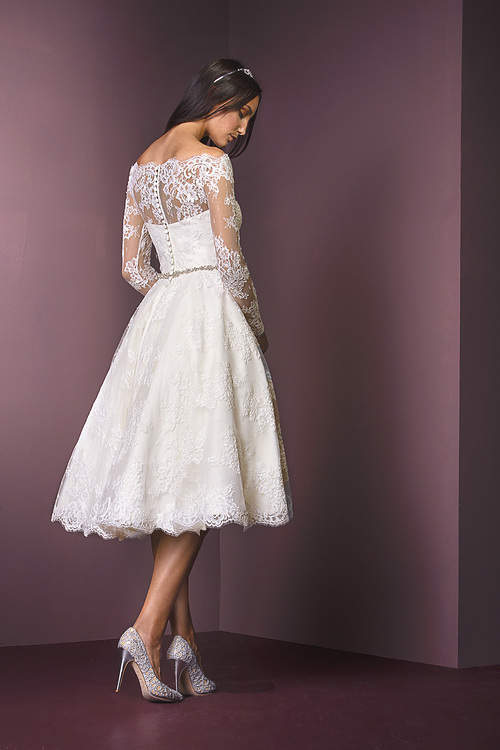 Crafted from corded lace, this is a gown that feels both beautiful and fun. Updated with a contemporary off the shoulder fit and beaded belt, this is a contemporary twist on timeless glamour. Available in Ivory, UK 14 only.